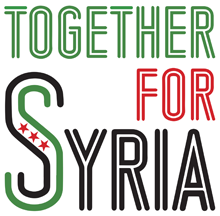 Contact info@syriauk.org to let us know of an event. Screening: Syria’s rebellious women, Caabu screening with director Q&A. Filmmaker Zaina Erhaim presents a series of short documentaries shot in Northern Syria. Boardroom, Arab British Centre, 1 Gough Square, London EC4A 3DE. Screening: Syria’s rebellious women, Bertha DocHouse screening with director Q&A. Zaina Erhaim’s series of short documentaries. Q&A with director Zaina Erhaim chaired by Lindsey Hilsum, Channel 4 News. Curzon Bloomsbury, The Brunswick, London WC1N 1AW. Demonstration: Stop Russia’s bombs! Protect Syria’s doctors! Medecins Sans Fronteires reports that over 12 hospitals have been bombed by Russia since their attacks started on September 30th. APPG Friends of Syria: A ministerial overview of the crisis with Tobias Ellwood MP. First of a series of evidence sessions leading to a report on UK strategy on Syria. With Ian Black, Guardian Middle East editor since 2007. Price £39. The Guardian, Kings Place, 90 York Way, London N1 9GU. Author Charles Lister, visiting fellow at the Brookings Institution’s Doha Center, works on the conflict in Syria, especially the makeup of the anti-government insurgency and its various jihadi components. LSE Department of International Relations public lecture. Hong Kong Theatre, Clement House, 99 Aldwych, London WC2B 4JF. Ibrahim Olabi, who recently completed his LLM (Security and International Law) and LLB degrees at Manchester University, is the founder of the Syrian Legal Development Programme (SLDP). The SLDP team consists of researchers, lawyers, on-the-ground trainers and human rights advocates, who put together and provide educational programmes focused on international law. The goal is to strengthen the application of international law (especially international humanitarian law) in the Syrian conflict. Ibrahim travels regularly to Syria and neighbouring states, where he provides training seminars to combatants and civilians near the front lines. His talk will focus on the SLDP’s work, the legal and practical challenges it faces in Syria, and the process of founding a human rights organisation as a young activist. UCL Department of Political Science, talk sponsored by the Human Rights MA Programme. Medical Sciences 131 AV Hill Lecture Theatre, Medical Sciences building, Malet Place, London WC1E 6BT. 11am–1pm, Committee Room 11, House of Commons. 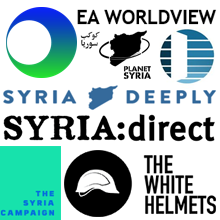 There will be a range of speakers to give a current picture of the situation within Syria and in the region, and to discuss the UK’s response. UCL Department of Political Science, with Baroness Sarah Ludford, David Goodhart, of Demos, Dr. Sarah Fine of Kings College London, Professor Alex Betts of University of Oxford. Chair: Dr Avia Pasternak, lecturer in global ethics, UCL. 5:30– 7pm, JZ Young Lecture Theatre, Anatomy Building, Gower St, London WC1E 6XA.